Click above to download this coloring sheet as a PDF document. 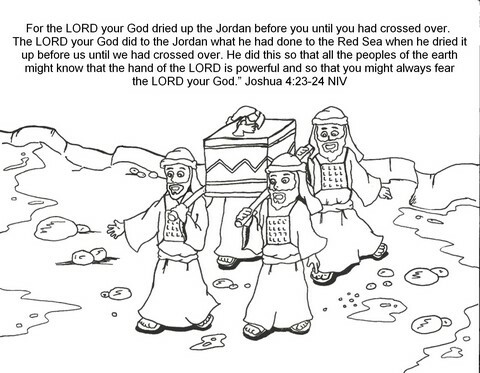 This coloring sheet would be ideal for a Sunday School lesson based on Joshua 3 & 4. In the Bible story, God pushes back the waters of the Jordan so the people of Israel can cross on dry land. This is a reminder of the miracle at the red sea and a promise of future protection as they enter the land of Canaan. Like all our materials, you can print as many copies as you need for your ministry or family. 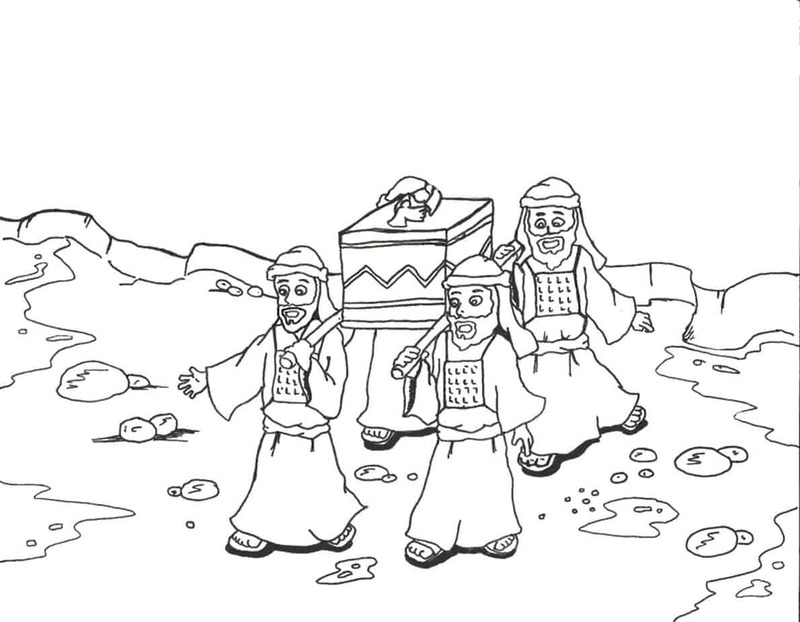 For more like this, be sure to browse all our Bible coloring pages. Tony Kummer (Editor) reviewed & updated this page on : June 29, 2011 at 11:28 am. All our content is peer reviewed by our readers, simply leave a comment on any post suggest an update.